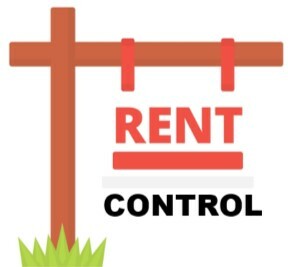 LOS ANGELES – Despite voters rejection of Proposition 10, the Los Angeles County Board of Supervisors voted 4-1 Tuesday in favor of an ordinance to temporarily limit rent increases to 3 percent in unincorporated areas of the county, including Littlerock, Lake Los Angeles and Quartz Hill. “Voters do want our government to assist … but we oppose our government taking our rights away from us via rent control,” Barton said. 9 comments for "L.A. County votes 4-1 to impose temporary rent cap in unincorporated areas"
Is anyone here interested in exploring the legality of this? I am a landlord. Both of my properties are rented out below market value but I don’t want the government telling me what I can and can’t do. I would like for all of us to band together and sue the board of supervisors if possible. Surely I can rent out my own property as I see fit. The ordinance has been imposed on us after already establishing investment rentals in these cities and that is not okay. The government here in California has become altogether too oppressive. What about a recall voter for fraud by corrupt the lobbyists -against an overwhelming amount of low-income renters at all levels of populations. FWIW, I’ve always said that if I won the lottery the first thing I would do is buy a hundred houses in Palmdale and rent them out at several hundred dollars below the current market. With the election of Hofbauer I’d have to do that elsewhere, but I’d still do the same thing. The intention would be to reinvest profits into buying more houses that could then be rented similarly below market value. And I wasn’t interested in apartments because I believe that families with kids should be able to have yards and pets and all that good stuff. They shouldn’t be price forced into apartments. Not like I’m winning the lottery any time soon, but that’s the plan if I do. I was just suggesting that there is some possibility that the person you are excoriating for greed might not be as bad as you think. THIS IS OUTRAGEOUS!!! IF THEY WANT TO DO WHATEVER THEY WANT TO DO WHY ASK FOR THE PUBLIC OPINION??? THIS IS EXACTLY WHAT HAPPENED TO PROPOSITION 8 IN 2008: THE MAJORITY OF THE PUBLIC VOTED “NO” BUT THE BASTARDS IN CHARGE HAD TO CHANGE IT TO THEIR CONVENIENCE ANYWAY! HOMEOWNERS DO NOT HAVE ANY HELP FROM LEGISLATORS TO BUY, PAY AND MAINTAIN THEIR PROPERTIES SO WHY DO WE HAVE TO GIVE THEM CONTROL ON HOW TO MANAGE IT??? THEY WANT TO LIMIT THE RENT INCREASE BY THEY ARE NOT LIMITING THE PROPERTY TAX INCREASE! HOW ABOUT THAT?THIS IS SOCIALISM TO THE HIGHEST DEGREE!!! WE NEED TO DO SOMETHING TO STOP IT! Hey look! Right in the article it points out that they are complying with the law that the proposition was trying to repeal. I guess that’s why they have propositions, so that the law didn’t change and the county had to comply with it. Exactly!!! If our opinion doesn’t count, why bother? A ballot proposition isn’t a request for opinions, it’s an open call for the voters to directly impact the law. In this case the proposition was for the voters to choose to repeal a law, and they chose not to. There was absolutely nothing in Prop 10 that said or suggested that a no vote would create a law banning all rent control. Bottom line, a no vote didn’t really do anything. The existing law still stands, and has to be complied with. The board of supervisors has therefore had to obey that law. They undoubtedly waited to enact this ordinance because they had a different one they would have put in place if they had been allowed to do so.